Skip Schumaker has agreed to a minor league contract with the San Diego Padres and will be invited to big league spring training. 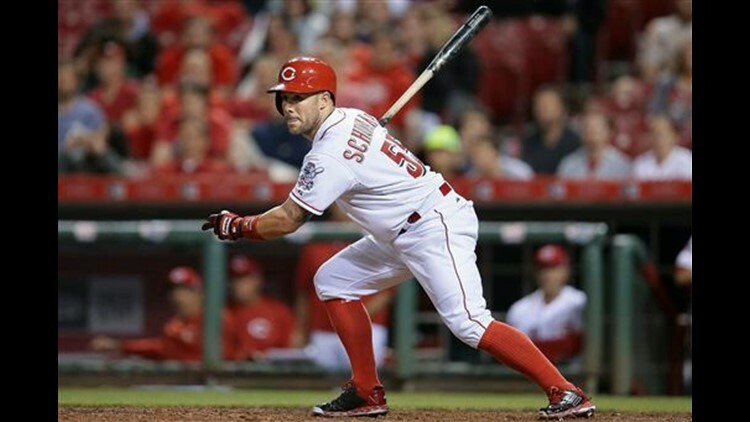 SAN DIEGO (AP) — Skip Schumaker has agreed to a minor league contract with the San Diego Padres and will be invited to big league spring training. The 36-year-old became a free agent after Cincinnati declined a $2.5 million club option in November. If he makes the club, Schumaker would provide a left-handed bat off the bench. He has played all three outfield positions and at second base. Schumaker also played for St. Louis and the Los Angeles Dodgers. San Diego announced the agreement Tuesday.